this one time i curved a new hat in front of a disciple of the flat hat. he couldn't fathom why i thought flat hats looked dumb. Ha, I remember when I got a new hat and the peak was straight, I would Immediately start bending it out of habit. Around 30 I just stopped wearing those caps and went with straw hats with a rim all the way round in summer. It has to do with the type of hat which factors in fashion and trends. "Baller" caps have wider rims to remain stiff and look silly curved. 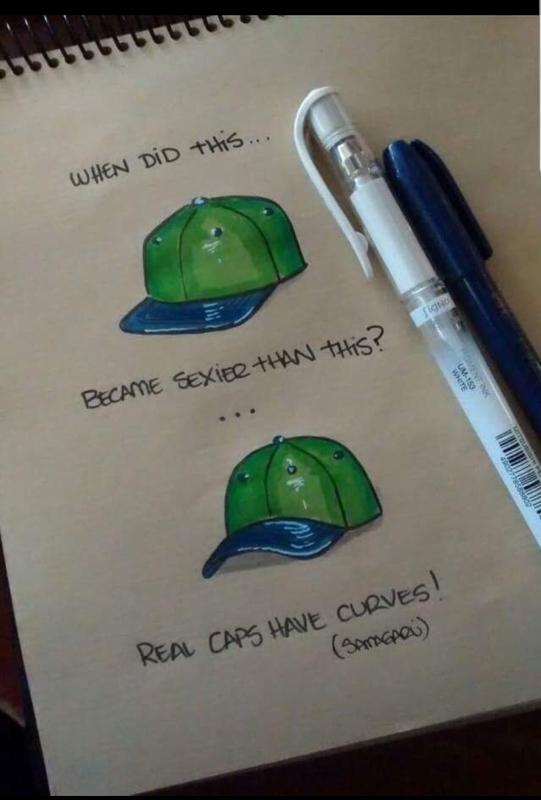 Traditional Baseball caps should always be curved. I stopped wearing hats because I could only find flat rim hats.